2,Popular design cheap price and with good quality. 3,100% QC inspection Before Shipment,with Good Packing. 5,Best Quality & Best Service with Competitive price. 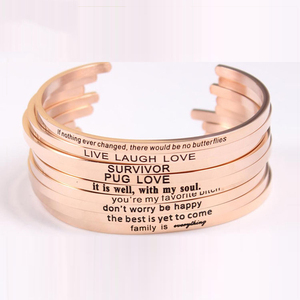 Just tell us your ideas and we will help to carry out your ideas into perfect jewelry . We will send you finished files or drawings for your c onfirmation . You can use your own express account or prepay u s if you do not have an account. Or according to your requirement *MOQ (1)Sample Order: 1 piece of each model (2)Usual Order: 50pieces of each model. Or according to your Requirement *OEM&ODM OEM/ODM order is welcome, Please feel free to contact us for more info. If you are not satisfied, please feel free to let us know, we will try our best to resolve the problem for you. Q1.Can I have a sample order for any 316L stainless steel jewelry 9 A :Yes,we welcome sample order to check quality . 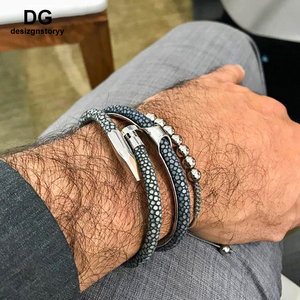 Q2.What's your advantage of your factory9 A : Firstly,we has manufactured stainless steel & Titanium jewelry for 10 years, so we can assure you high quality at the most competitive price. 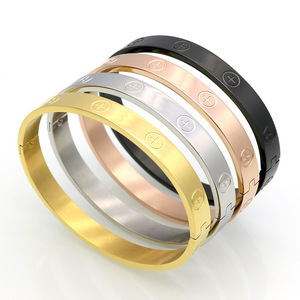 Q3.Is it ok to print/engrave my logo on jewelry9 A : Yes,please inform us formally before our production and confirm the design firstly based on sample. 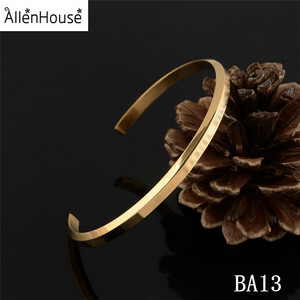 3 YRS Dongguan Bomei Jewelry Co., Ltd.
high polishing colored custom 316l stainless steel bracelet enamel bangle Material Stainless Steel(316L) Plating Rose Gold Plated(or Can be Suggested) Feature Health Finish High Polish Size 10*190cm MOQ 100pcs Other We use the stainless steel(316l) material, it is with rose gold plated,hiigh quality,quick delivery,OEM&ODM,please believe if you choose us,you will be successful More items can be reviewed: 1 Who is Shenzhen Xinyashang Jewelry Co. ,Ltd9 2 What is your jewelry made of9 We specialize in stainless steel(316L),titanium(TA2),tungsten,cobalt,ceramic,silicone and so on. Some of the jewelry can be connected by the gold and sliver,check the specific details of each piece fo the metal and more inforomation; 3 Do you make the custom designs9 Yes,we make the custom designs,we are always to open to hearing good ideas and more suggestions from our customers; 4 Can you Engrave9 Yes,it can be print or laser on the jewelry of customer's logo or lettering information; 5 Do you offer a gurantee9 All products come within in 30 days,if you any problems with product,you can contact with us,that will be a professional team to figure your problem out; 6 How can I meet you9 Welcome to our factory,the specific details it can be offered you when you contact with us. 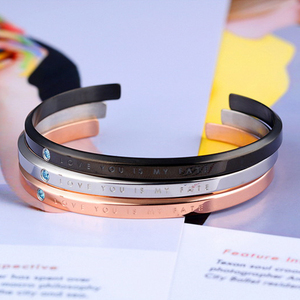 1 YRS Guangzhou Libaiyuan Network Technology Co., Ltd.
Alibaba.com offers 46,949 316l stainless steel bangle products. About 98% of these are bracelets & bangles, 79% are stainless steel jewelry, and 1% are titanium jewelry. 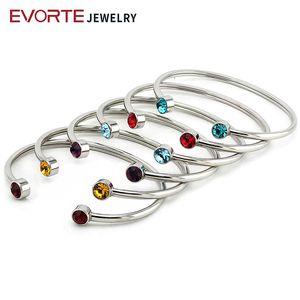 A wide variety of 316l stainless steel bangle options are available to you, such as anniversary, gift, and engagement. You can also choose from children's, men's, and women's. As well as from stainless steel, titanium. 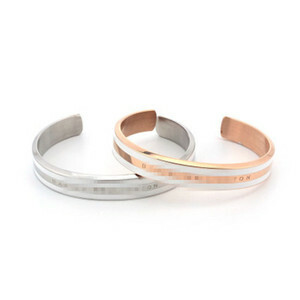 And whether 316l stainless steel bangle is bracelets, bangles, cuff links or tie clips, or pendants or charms. There are 46,949 316l stainless steel bangle suppliers, mainly located in Asia. The top supplying country is China (Mainland), which supply 100% of 316l stainless steel bangle respectively. 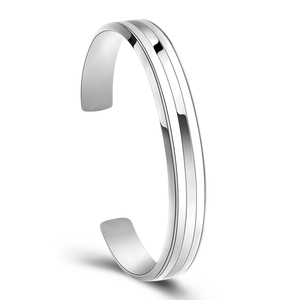 16l stainless steel bangle products are most popular in North America, Western Europe, and South America. You can ensure product safety by selecting from certified suppliers, including 2,286 with Other, 1,182 with ISO9001, and 269 with BSCI certification.